Lucknow will go to Lok Sabha Elections 2019 on May 6. The counting of votes will be held on May 23. 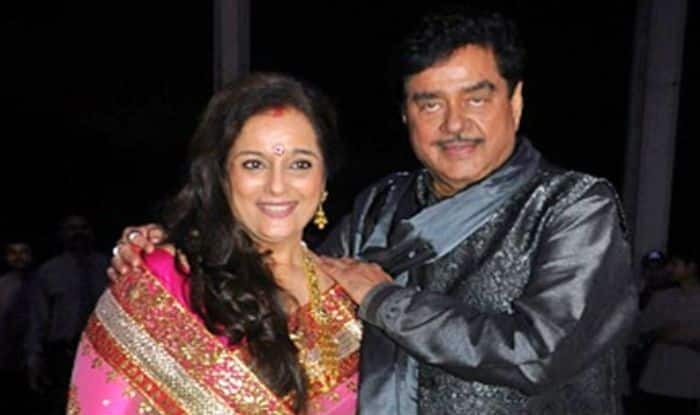 New Delhi: Congress leader Shatrughan Sinha’s wife Poonam Sinha, who joined the Samajwadi Party (SP) recently, will contest the ongoing Lok Sabha Elections 2019 against Bharatiya Janata Party’s (BJP) candidate Rajnath Singh from Lucknow, party supremo Akhilesh Yadav said on Wednesday. The party’s Twitter handle also carried a picture showing Poonam Sinha joining the party in the presence of SP chief Akhilesh Yadav’s wife Dimple Yadav, an MP from Kannauj. Earlier on Tuesday, Rajnath Singh had filed his nomination papers for the Lucknow Lok Sabha seat after holding a roadshow, which passed through Hazratganj, in the Uttar Pradesh capital, where BJP supporters turned up in large numbers and showered flower petals on him. He was accompanied by Uttar Pradesh BJP chief Mahendra Nath Pandey, Deputy Chief Minister Dinesh Sharma and former Union minister Kalraj Mishra. In 2014, Rajnath Singh had won the Lucknow seat garnering 55.7 per cent of the total 10,06,483 votes polled. He had won in all the five assembly segments of the constituency. Lucknow is going to polls on May 6 along with a total of 51 constituencies across seven states in the fifth phase of the Lok Sabha elections 2019. The counting of votes will be held on May 23.